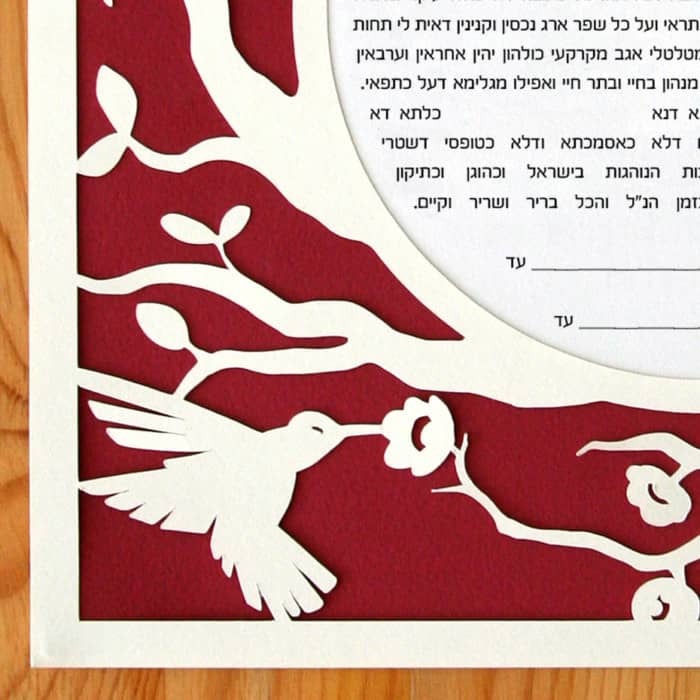 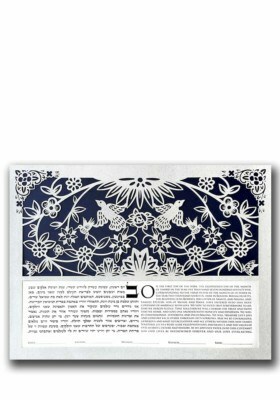 A gorgeous modern heirloom papercut ketubah carefully cut out of fine artists’ paper, featuring hummingbirds and pomegranates. It is an elegant and timeless design that will never look dated. 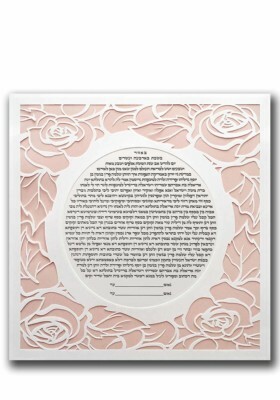 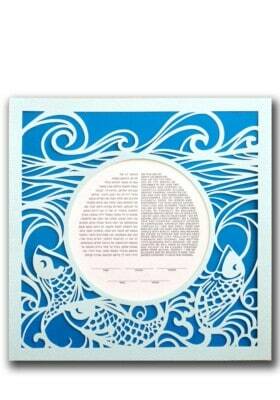 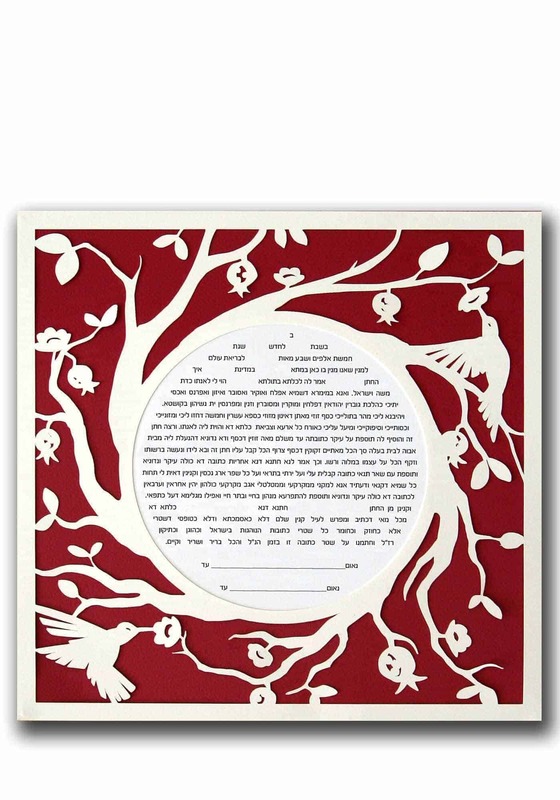 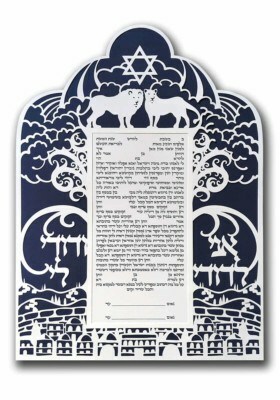 This ketubah will look beautiful in any room.